Sanford E. Gaylord was born on April 20, 1965. He is an actor, award-winning writer, and creative activist. He has more than twenty years of expertise in the field of public health with expertise in social services, civic engagement, HIV biomedical/behavioral research, implementation of federal programs, and policy priority initiatives. At 16, Gaylord was escorted from home because his views about his sexual identity were different from those of his mother and stepfathers. He attended James H. Bowen High School in Chicago, graduating in 1983. “It wasn’t an easy life,” Gaylord recalled. “There were many challenges growing up as out Black gay man in the early years of the AIDS crisis, when fear, stigma, and death were plentiful; information and hope were scarce.” He had the blessing of living with a partner who was older, but when that relationship ended, Gaylord decided to live on his own at 20. In 1989, at the age of 24, Gaylord learned that he was HIV positive. It was a devastating diagnosis—his life shattered—but he was able to pick up the pieces, and move forward with a focus of making his dreams become realities. It led Gaylord to work in the field of HIV/AIDS, and become an actor, writer, and creative activist. In 1995, he enrolled at Harold Washington College, and became a member and co-captain of the Forensics Speech Team, as well as a member of the Loop Players Drama Club and the Phi Theta Kappa Honors Society. Gaylord went on to earn his Bachelor of Arts from Columbia College Chicago in 2001. Gaylord was a co-founding member of A Real Read, an African American LGBTQ performance ensemble (1996 to 2002) that performed original poems, prose, and plays that gave voice to the often silenced Black gay community, while offering performances that reflected the universal. The ensemble frequently produced the works of other African American LGBTQ artists, and even after the ensemble dissolved, its impact continues to have a ripple effect. A Real Read was inducted into the Chicago LGBT Hall of Fame under the Organization category by Mayor Richard M. Daley in 2007; Gaylord was inducted in the Individual category by Mayor Rahm Emanuel in 2012. His contributions to the LGBTQ movement are profiled at Chicago Gay History. Gaylord was the recipient of the 1998 Chicago Association of Black Journalists’ Award of Excellence in Commentary, while a contributing writer for “BlackLines” and “Windy City Times,” published by Windy City Media Group in Chicago. His commentary and analysis has appeared in many other LGBTQ publications in print and online. Gaylord was a contributor to “Mighty Real: An Anthology of African American Same Gender Loving Writing,” published in 2010 and edited by R. Bryant Smith and Darius Omar Williams. Like so many Black gay men, Gaylord was inspired by Joseph Beam’s transformative work, “In the Life: A Black Gay Anthology.” He credits the book’s groundbreaking writing by Essex Hemphill for inspiring him, and his thoughtful writing remains Gaylord’s all-time favorite. 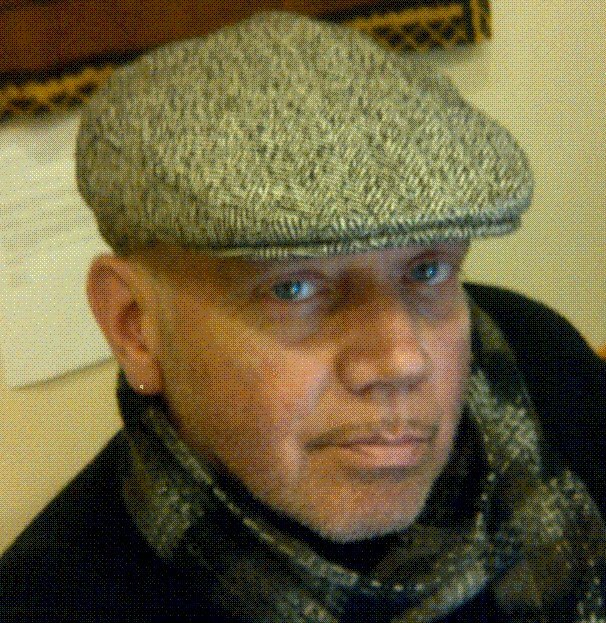 Gaylord is honored to have had his work included in “Black Gay Genius,” the anthology inspired by “In the Life,” published in 2013 and edited by Charles Stephens and Steven G. Fullwood. The book was a finalist in the LGBT Anthology category for 27th Annual Lambda Literary Awards. Gaylord’s film and television credits include “Leaving the Shadows Behind” and “Living with Pride: Ruth Ellis @ 100.” He also co-starred in the award-winning three-part film series “Kevin’s Room,” which received accolades for its realistic, positive portrayal of LGBTQ people of color and their allies. The series was screened at several LGBTQ film festivals in addition to be aired on local Chicago television. Gaylord was recently the voice talent for the audio computer-assisted self-interview that was part of the 073 Study conducted by the HIV Prevention Trials Network. Gaylord was a co-founding member of Black Alphabet, a non-profit organization formed in Chicago whose premier program is the Black Alphabet Film Festival. The festival began in summer 2013, and is an annual event dedicated to showcasing the works by and about the Black LGBTQ community. The program was designed to meet these individuals where they were in their lives, and provide them with affirmation and educational information, to live healthier, more vibrant lives. “A Randomized Controlled Trial of POWER: An Internet-Based HIV Prevention Intervention for Black Bisexual Men” was published in “AIDS and Behavior” in September 2016. Gaylord is single, and makes his home in Chicago, where he enjoys the city’s rich architectural and cultural attractions. He has a fresh water aquarium in his home, and shares it with his “fur child,” a Boarder Terrier “mixed with love” named Ally Alexis. Gaylord is about to start training for an LGBTQ youth program that mentors young people recently diagnosed with HIV, and those that were brought back to care. In his spare time, Gaylord enjoys cooking, entertaining, and travel, including local getaways to Lake Michigan, history museums, and the aquarium. As an artist, he loves experiencing live theatre and film, and occasionally auditions when he sees a compelling opportunity. Gaylord remains passionate about public health, especially regarding HIV/AIDS and other health disparities that impact minority populations, and feels that work within the African American LGBTQ community is critical. He believes we all need to see positive representation of ourselves. We thank Sanford E. Gaylord for his considerable efforts in service to our community.